One of the construction and trades industry’s most recognisable companies has been renamed to reflect its phenomenal growth during the past two decades. Usher & Son, which started life as a one-man operation on the Gold Coast 17 years ago, has been rebranded Usher Group, befitting a company that today employs more than 500 people across seven service areas including painting, solid plastering, signage, property maintenance, swinging stage access solutions and labour hire. 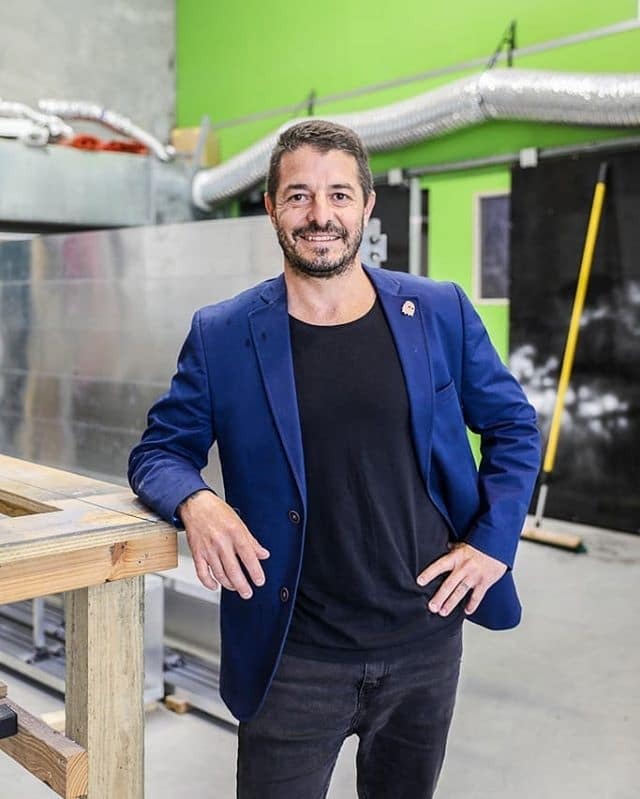 Founder and sole owner Theodore Vairaktaris said the name change was a natural progression for a company that had expanded significantly since its early days as a humble painting business. “Having added so many services during the past 17 years, the time is right to finally bring them under one umbrella,” said Mr Vairaktaris, who last month contested the national finals of the 2018 Australian EY Entrepreneur of the Year. “Despite trading individually as Usher & Son Coatings or UAS Access, our businesses are known across the industry by one name. It doesn’t matter what division of the group you’re talking about, everyone refers to us as ‘Ushers’. Mr Vairaktaris said the rebranding would encompass all aspects of the company, including its website, staff uniforms and the unveiling of a new three-dimensional logo. “While everything will reflect that we are now Usher Group, we will still breath the same brand promise for our customers – ‘your project partner’,” he said. “Our clients know the quality of the service we deliver and that will always remain the same. The group may have grown considerably over the years but as its sole owner and with 11 relatives in the business, I consider us a family business and am proud of the culture we have cultivated. Based at Arundel, Usher Group specialises in all major painting, rendering, signage and decorating services for private, public and commercial projects in Australia and New Zealand. It also offers property maintenance, high rise access solutions, labour hire and subcontractor services, has developed its own paint brand – Baxta – and eliminated the use of scaffolding in favour of swing and stage and mast climber equipment that is regarded as safer and more versatile. Having won countless awards for business, training and innovation across the years, Usher Group was most recently honoured when it was named the top ‘Family Business’ of the year for the 2018 Gold Coast Business Excellence Awards.